The 2019 OMBC Spring Gathering will be held on May 18th in Westfir, OR at the Westfir Lodge. Mark your calendars now for this fun day of learning, collaborating, and even some riding! We’ll kick off the weekend on Saturday morning with a group ride. After lunch we’ll recap what the OMBC has accomplished in the past 1.5 years and also what the steering committee has been tackling behind the scenes in order to build a solid foundation for not only the OMBC, but all mountain bikers in Oregon. We will be asking you for your feedback on this work and this is your time to learn how you can get more involved or simply find out about this growing singletrack movement in all corners of our state. We’ll also discuss about what the future holds in store for the OMBC in terms of organizational work and capacity building. Please RSVP for the Spring Gathering here! On Sunday we’ll spend the morning learning techniques for building cribbed turns in steep terrain with the Alpine Trail Crew Association —and then bookend the weekend with a shuttle and ride on Dead Mountain and Salmon Creek. 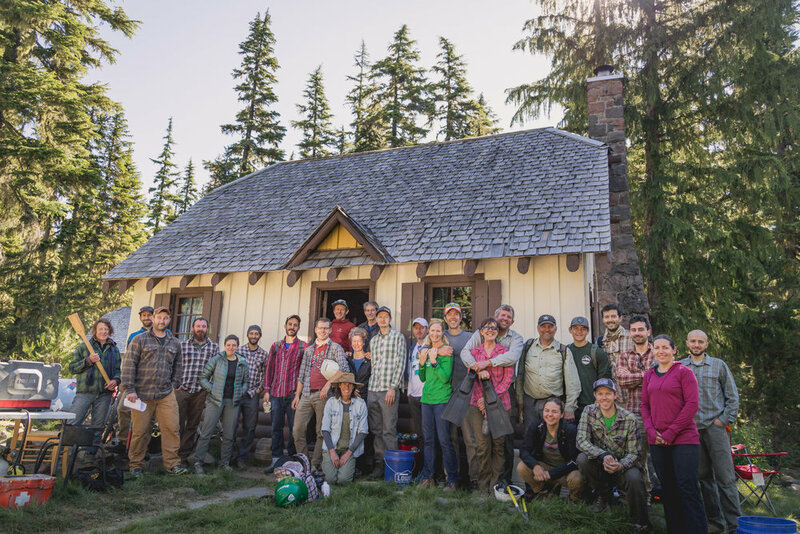 A huge thank you to the community of Westfir, the Willamette National Forest, Westfir Lodge, Alpine Trail Crew Association, Greater Oakridge Area Trail Stewards, Travel Lane County, Travel Oregon, and the rest of the MTB community for supporting this event!